"I was eleven, no more, when the wish came to me to be a writer; and then very soon it was a settled ambition." But for the young V. S. Naipaul, there was a great distance between the wish and its fulfillment. To become a writer, he would have to find ways of understanding three very different cultures: his family's half-remembered Indian homeland, the West Indian colonial society in which he grew up, and the wholly foreign world of the English novels he read. 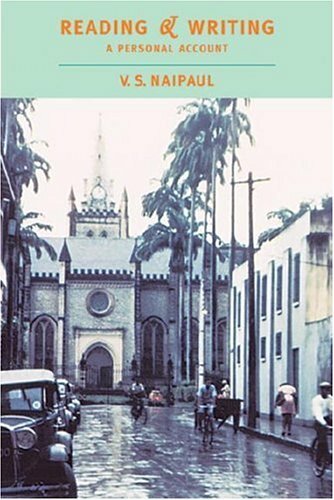 In this essay of literary autobiography, V. S. Naipaul sifts through memories of his childhood in Trinidad, his university days in England, and his earliest attempts at writing, seeking the experiences of life and reading that shaped his imagination and his growth as a writer. He pays particular attention to the traumas of India under its various conquerors and the painful sense of dereliction and loss that shadows writers' attempts to capture the country and its people in prose. Naipaul's profound reflections on the relations between personal or historical experience and literary form, between the novel and the world, reveal how he came to discover both his voice and the subjects of his writing, and how he learned to turn sometimes to fiction, sometimes to the travel narrative, to portray them truthfully. Along the way he offers insights into the novel's prodigious development as a form for depicting and interpreting society in the nineteenth century and its diminishing capacity to do the same in the twentiethNa task that, in his view, passed to the creative energies of the early cinema. As a child trying to read, I had felt that two worlds separated me from the books that were offered to me at school and in the libraries: the childhood world of our remembered India, and the more colonial world of our city. ... What I didn't know, even after I had written my early books of fiction ... was that those two spheres of darkness had become my subject. Fiction, working its mysteries, by indirections finding directions out, had led me to my subject. But it couldn't take me all the way. -V.S. Naipaul, from "Reading & Writing"